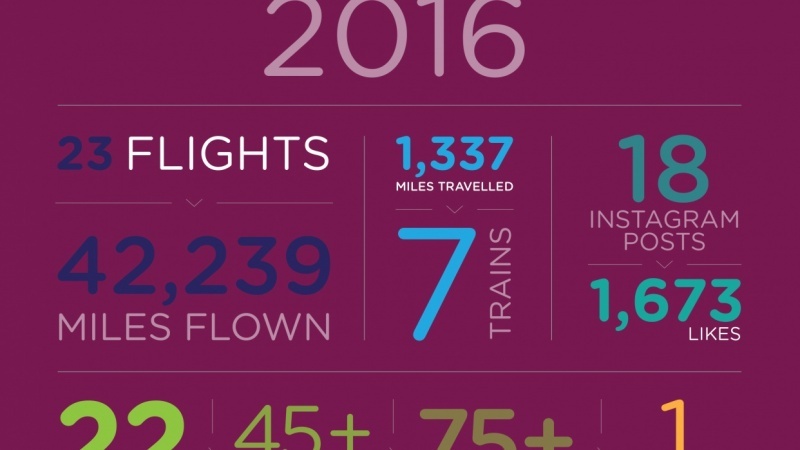 It’s the beginning of a new year and a lot of companies want summaries of their 2016 achievements visualized. Most of my clients are drawn to the single page infographic (also referred to as a dashboard) visualizing their year to date. These can be really fun to make! In this class you will work through compiling your data, developing your layout by using both abstract and refined sketching, and vectoring your single page infographic. You will combine your year summary data in a concise readable way. Using only typography, simple shapes and color. You will work with lines and hierarchy to break up your information to help lead the viewer through your information. Anyone who is looking to branch out into data visualization or try something new, this is the perfect opportunity to test yourself with a simple yet beautifully put together graphic! Create your own single page year in review infographic. You can do it for a client you may have, your personal year in review, or even the 2016 football season (basically anything you’d like)! Feel free to use any of the ideas and graphics you learned during the class. Rhiannon is a Bermuda based Information Designer, and is new to the SkilShare teaching community!